Synopsis: We all have a superhero inside us, it just takes a bit of magic to bring it out. In Billy Batson's case, by shouting out one word, this kid can turn into the adult Super Hero Shazam. 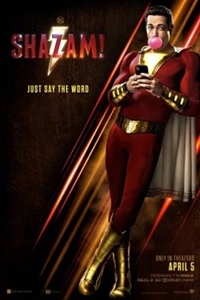 Shazam sets out to test his abilities, but he'll need to master these powers quickly in order to fight deadly forces of evil.